A leading Turkish gay rights group will fight a court ruling that ordered it be closed for "violating morality". Lambda, which has become increasingly vocal in calling for gay, lesbian and transgender rights in Turkey, says it will appeal against the decision. 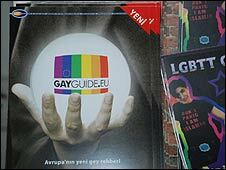 Homosexuality is not illegal in Turkey, but many gay and transgender people complain of discrimination. A report last week by Human Rights Watch highlighted extensive harassment and called for legal reforms. The court said the group must be closed, following a complaint, initiated by the Istanbul governor's office, that Lambda violated laws on the protection of the family, and an article banning bodies "with objectives that violate law and morality". "This is a mistake and we hope that the Appeals Court will correct it," the group's lawyer, Firat Soyle, told the AFP news agency. The group can continue to operate in the mean time. Mr Soyle said a prosecutor threw out a similar application against another gay rights advocacy group, KAOS-GL in 2005, saying that homosexuality does not amount to immorality. Lambda says the state wants to pressure it into silence, pointing to a police raid on its offices last month. Gay, lesbian and transgender people have been becoming more visible in Turkey - last Saturday the first ever gay rights march was held in the capital, Ankara. But, they say, the more visible they are, the more they are encountering hostility in what remains a conservative society. 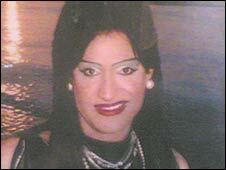 "Things were tough before, but they're getting worse," Demet, who is transgender, told the BBC. "One thing we have learned is that visibility breeds violence," says Scott Long, of Human Rights Watch. EU values - united in diversity?